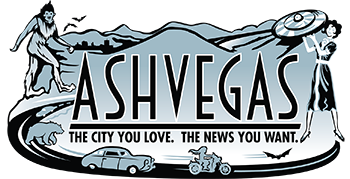 -Local writer teams with indy filmmakers to profile local businesses: This is a fascinating project involving a host of Asheville peeps. The press release clearly explains. Congratulations to everyone involved! Last year Industrious Productions (Co-Owners Adams Wood and Rod Murphy) collaborated on an ambitious transmedia project with writer Darren Dahl that followed 3 months in the life of Buchi Kombucha (The fast-growing beverage company based in Weaverville.) That project has been released on American Express OPEN Forum as The Journey. THE JOURNEY consists of three mini documentaries produced and directed by Industrious Productions, plus seven articles by Darren Dahl covering the big picture view of the company, and their approach to many common small business problems. THE JOURNEY also features journal entries detailing the highs and lows of Buchi co-founders Jeannine Buscher and Sarah Schomber. As filmmakers, it was an ideal collaboration. With Darren doing the writer’s duty of pulling in details of the past, and doing a deep dive into Buchi’s business concerns, Industrious Productions was able to do what we do best. We captured the sights and sounds at Buchi’s headquarters and bottling facility located on a gorgeous 160-acre farm near Weaverville, we created a portrait of the various fascinating characters involved, and we watched the drama as it unfolded before our cameras. We hope THE JOURNEY brings Buchi Kombucha much-deserved attention. We previously collaborated with Darren Dahl on a profile of French Broad Chocolates, that ran on OPEN Forum for Small Business Saturday. -Asheville Ukulele Society: Meets the second Tuesday of the month at 7:30 p.m. at Laurey’s. Just fyi. After people have had a chance to eat all they can and help these amazing charites, they are invited to go to the Renaissance hotel for the Rat Rod Rumble car show, the Asheville Freakfest Talent show, tattoo contests and tattooing by famous artists from around the world at the Asheville Tattoo and Arts Expo. “The Food Truck Showdown is our way of helping some great charities, supporting our amazing food trucks and making sure the weekend festival is a fantastic time for everyone” said JR Yarnall, one of the event’s organizers. -Pollution exceeds safe levels: A new report demonstrates that Duke Energy’s Asheville coal plant has been emitting harmful sulfur dioxide (SO2) pollution at levels considered unsafe by the Environmental Protection Agency for the past several years, according to a press release from MountainTrue. Areas impacted include parts of South Asheville, Fairview, and Leicester, as well as trails in the Bent Creek Forest. An air modeling study by Air Resource Specialists shows that concentrations of SO2 in the air near people’s homes downwind of the Asheville coal plant are up to 3.5 times higher than what EPA has determined to be safe. According to the study, the plant’s pollution has exceeded these minimum public health standards approximately one out of every three to four days since 2010. A separate analysis of operations at the plant points to the two causes of this increased pollution: Duke apparently has not been running its pollution protection technology fully and, at the same time, has switched to cheaper, dirtier, higher-sulfur coal. The most likely reason for these changes is to reduce the cost of running this plant, which is one of the utility’s most expensive to operate. Air pollution controls, “scrubbers”, were installed at the plant in 2005 and 2006. The analysis released today suggests that when first installed, those safeguards were run at acceptable levels, but have been turned down in recent years. What color is Good? 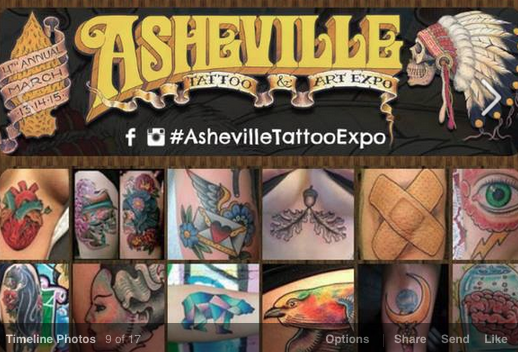 It’s a little bit of them all as you’ll find out at this fun and fast-paced event at Asheville’s premiere event space, The Venue, on Friday, February 27 at 6 pm. Six of Asheville’s up-cycling designers have jumped on board to grab one of the colors, each representing one of Goodwill’s programs or services. They then shopped Goodwill retail stores for clothing and other finds, and up-cycled them into creations expressing their own unique vision. More than 25 professional models will walk the runway bathed in colored lights and sounds to reveal these exciting designs.